Doctor Who is set to return tomorrow on BBC as the Peter Capaldi takes his place as the Twelfth Doctor alongside the ‘The Impossible Girl’ , Clara Oswald (Jenna Coleman). A show about a Time Traveller who takes human trusty sidekicks with him through his journey through space and time, Doctor who has been entertaining viewers for 51 years now. As the hype builds up towards the 8th season of Britain’s most popular show, we look the top 10 fictional devices that appeared in this show. Nano-recorders were one of Doctor Who’s brilliant gadgets. Facing an enemy whom you would forget as soon as you looked away from them, (The Silence), the Eleventh Doctor inserted Nano-recorders into the hands of all his accomplices. It recorded all the user's speech via a telepathic link to the speech centers of the user's brain. Once a user saw ‘The Silence’, they pressed it to record the encounter. Afterward, when the user had forgotten the encounter had happened, they would be alerted to it by their glowing palm and thus reminded where The Silence were. Doctor is a Time Lord with immense knowledge and thus a tech genius. For the people who travelled with him, he fiddled with their cellphones and turned on their Universal Roaming. By Universal roaming I mean that cellphone could call any place in the universe and in any Time Era. Rose Tyler called his Mum in 2006 while she was in the year 5,000,000,000 using the Super Phone. The TWMKE or extrapolator was a device that could be used for several purposes. It could form an energy field, become means of transport and power source. Although how it was created was unknown, it got in the hands on Slitheen who tried to escape the Earth using it. After the Doctor stopped them, it was installed in the Tardis creating a Force field around the Space Ship. 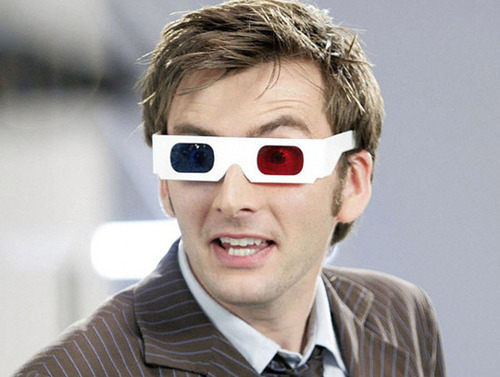 3D Glasses are common these days so how is the a genius Time Lord was wearing it roaming around asking people if they liked his glasses. As it was later revealed, Doctor’s red and blue anaglyphic 3D Glasses made Void Stuff (An empty space between two parallel worlds) Visible. With these glasses, he could view and identify people who had crossed the void by their surround radiations. This was the greatest prison every built in the whole of Universe with only one purpose, to imprison the Doctor. Constructed by the Alliance of Doctor’s Enemies, it was a perfect prison with layers of security. Dead locks, time Locks and Time Barriers were the prominent security features. It also had a restoration field to keep the prisoner from dying. It is basically a handy but primitive Time Travelling device. Used mostly by Doctor’s wife in the series, Vortex Manipulator makes jumps through the Time Vortex possible but uncomfortable ( as if the TARDIS makes it a bed of roses). Doctor clearly dislikes the devices as he mentions several times in the show. Despite his hatred, he has to use to go back in time to when the Tardis is exploding. It is just not any fob watch, it is the Doctor’s fob watch. 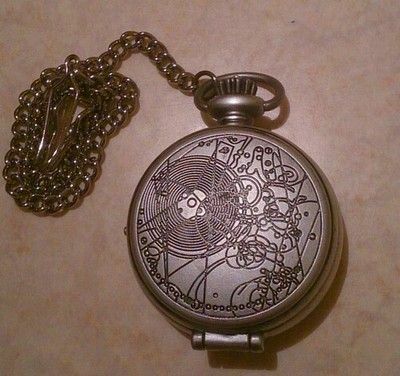 Fob watches of Time Lords are a powerful gadget as it stores the essence of the Time Lord in it. In order to avoid being traced, Time Lords transferred their essence in to the Fob watch and lived among normal people forgetting anything about themselves being Time Lords. Another of Doctor’s ingenious gadgets was the psychic paper. While some might not consider it as a gadget, Psychic paper actually is one with several functions. It is basically a piece of paper which shows the reader what he wants to see. Doctor uses when he is asked for identity, flashes it like an FBI agent mostly to get into secured places. Apart from that, it can unlock electronic pass readers and receive messages from far corners of the universe. Doctor’s wife and the Face of Bo use it to contact the doctor. This is the trademark gadget of the Doctor. With virtually infinite functionalities, the sonic screwdriver is a all in one gizmo. Out of its 999,999,999 uses, first and the most obvious, it unlocks screws using its sonic waves. Its most repeated use has been lock picking. The doctor uses to to unlock and lock doors, vaults, air tight seal and taxi doors! Apart from that, Doctor uses it to scan computers, phones, ship controls, trying to hack them and get into the system. Its more meager functions include disabling alien disguises; resonating concrete; reversing teleportation of another entity, scanning for life signs and much much more. The doctor does everything with the screwdriver. It’s a not a police box, it’s a TARDIS!!! Believe it or not, this is The Doctor’s Space ship. Time and Relative Dimension in Space (Tardis) is a Time Lord technology wonder. It is a huge space ship which is bigger on the inside and smaller on the outside because of its "chameleon circuit". Moreover, it is Sentient as well. As the Doctor once mentioned, Tardis were not built, they were grown from corals by Time Lords. Out of all the Time Travelling devices that humans have thought about, Tardis is the most powerful. 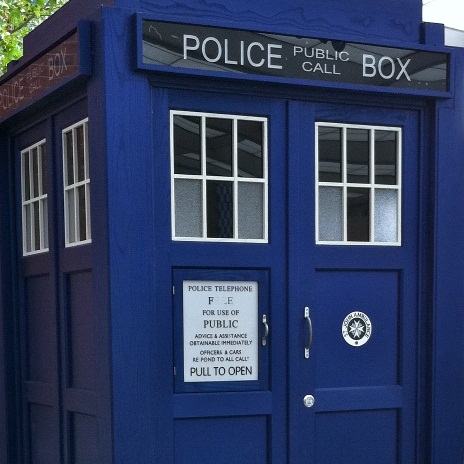 Connected to time and space, Tardis is the most gadget of Doctor who. Powered by a Star, a Tardis produces Arton energy pulling itself through time and space. It translates any kind of language by accessing your brain making interaction easier. In a more mundane use, it can tow stars in and out of orbit!